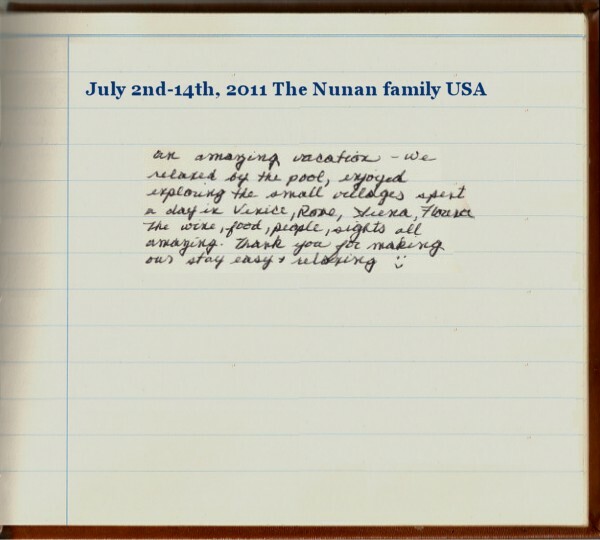 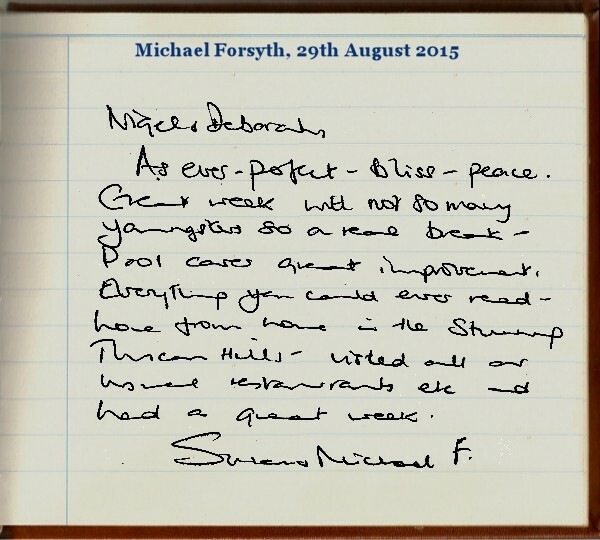 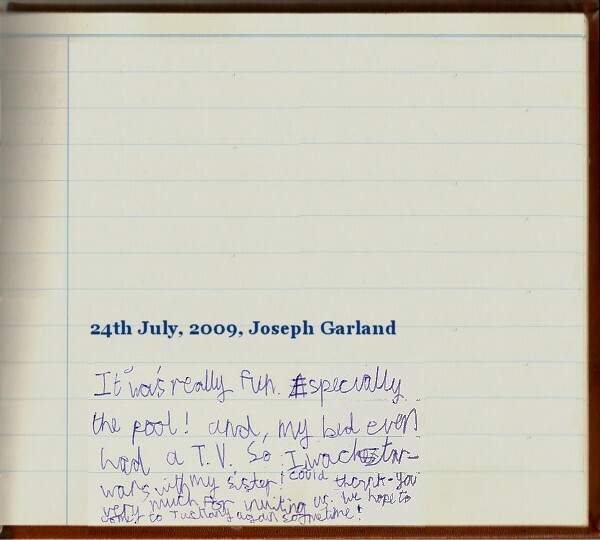 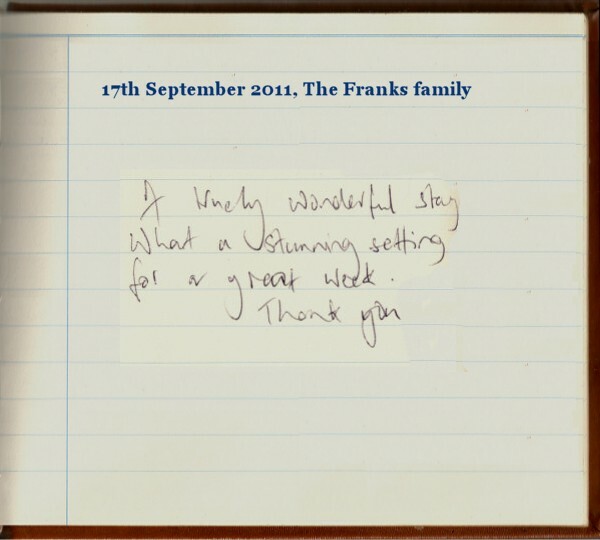 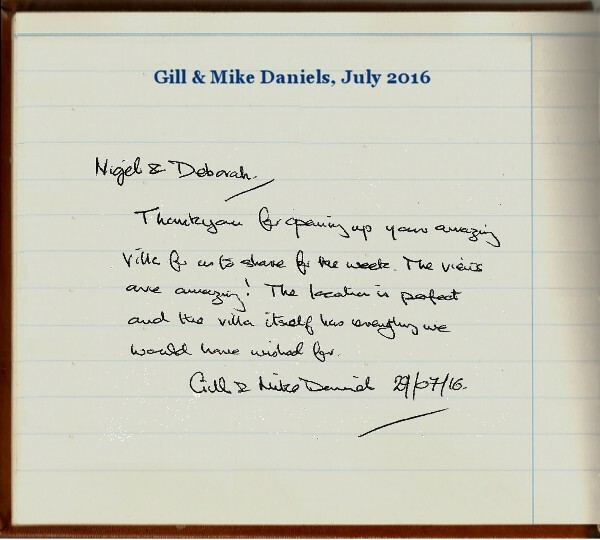 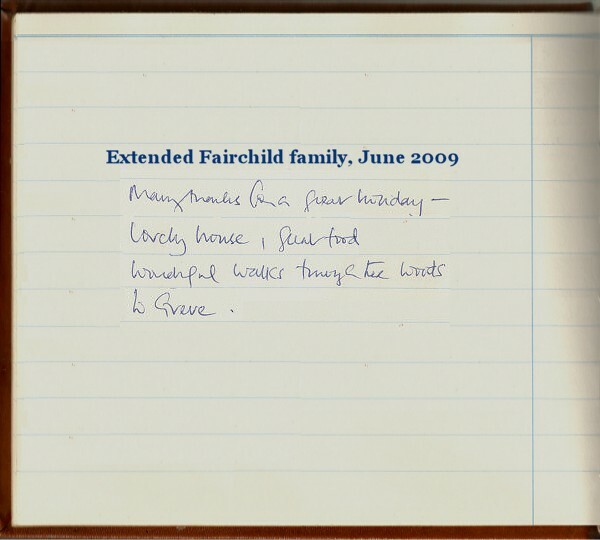 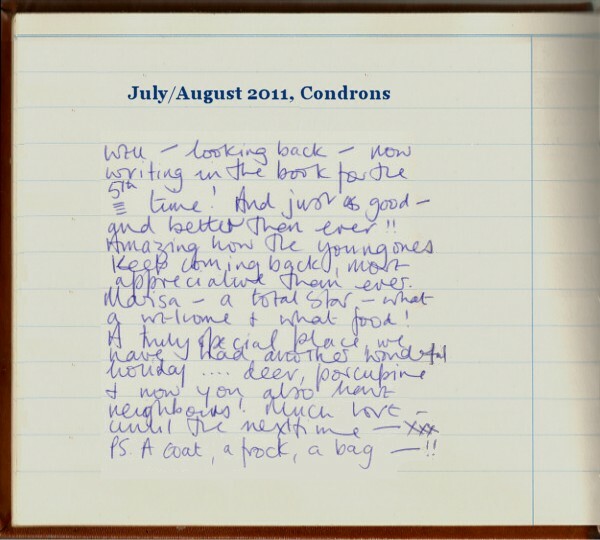 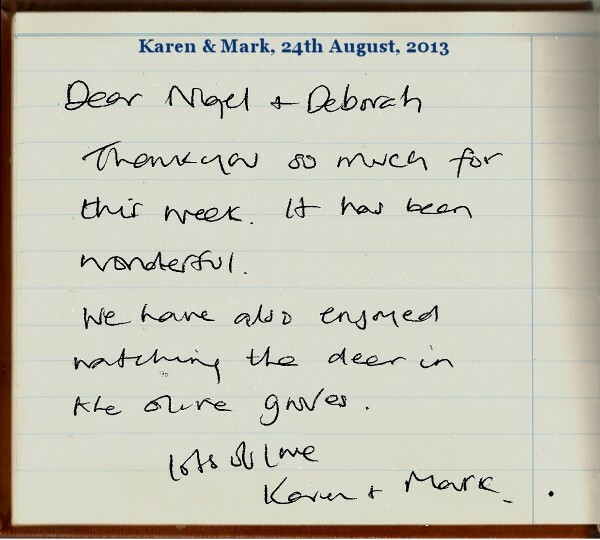 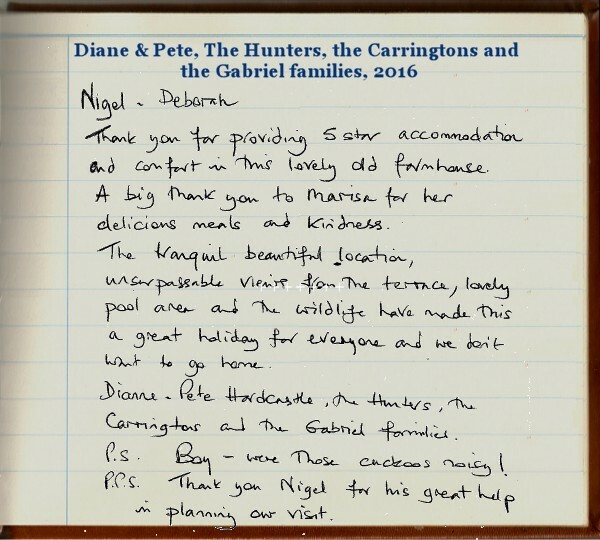 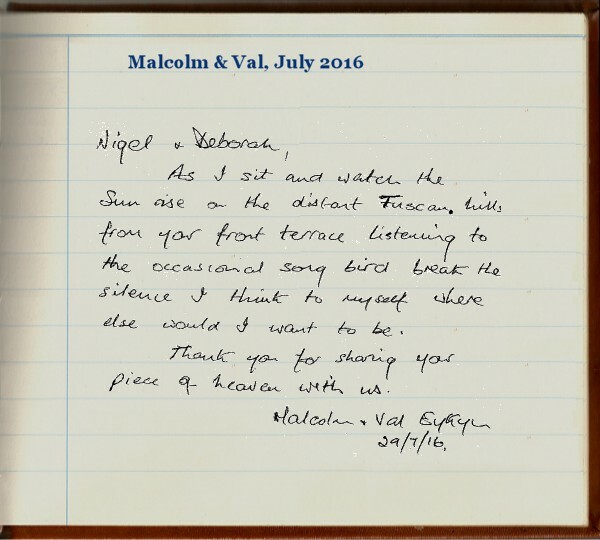 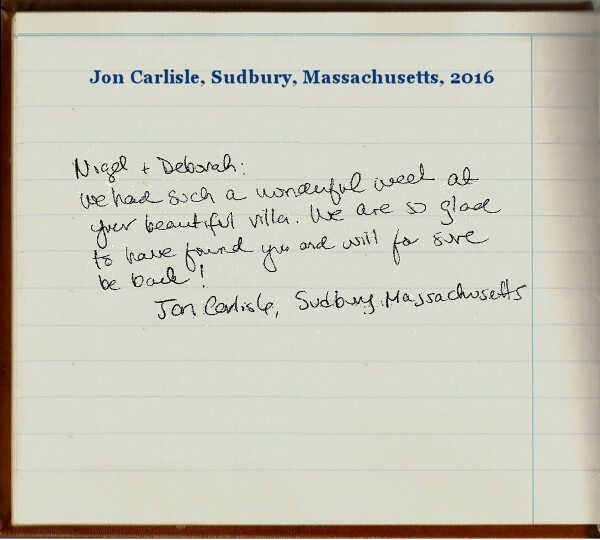 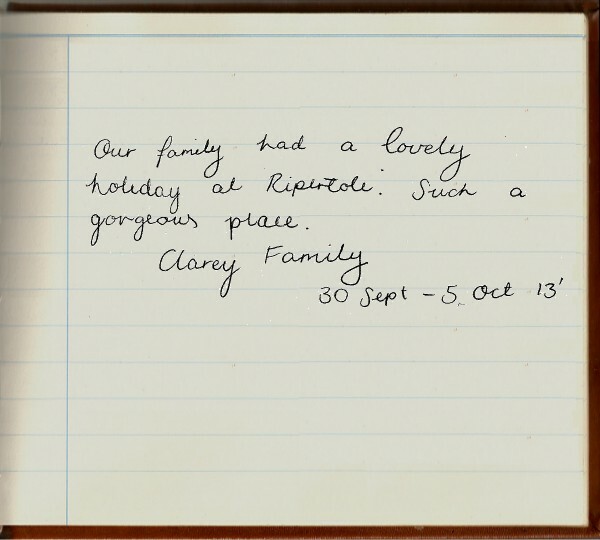 Over the years many of our guests have left charming and very personal messages in our Guest Book, some of which are reproduced here. 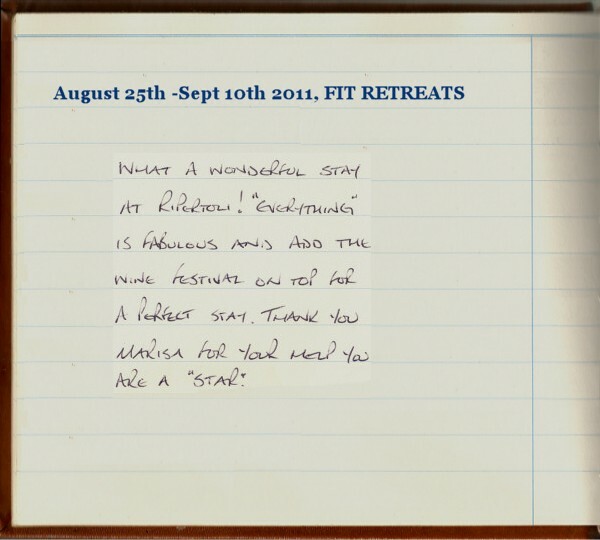 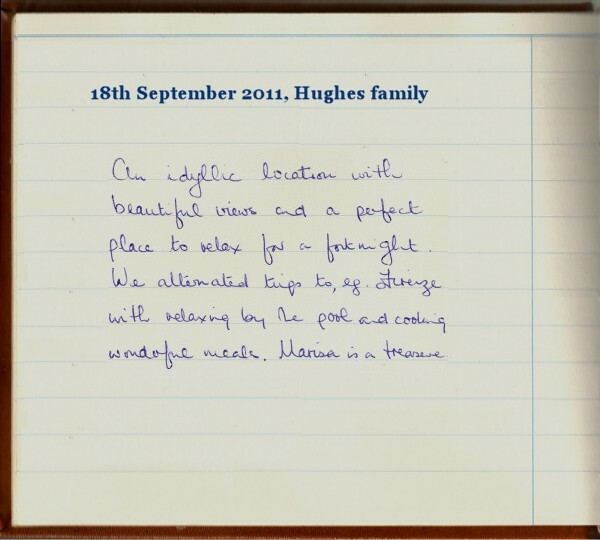 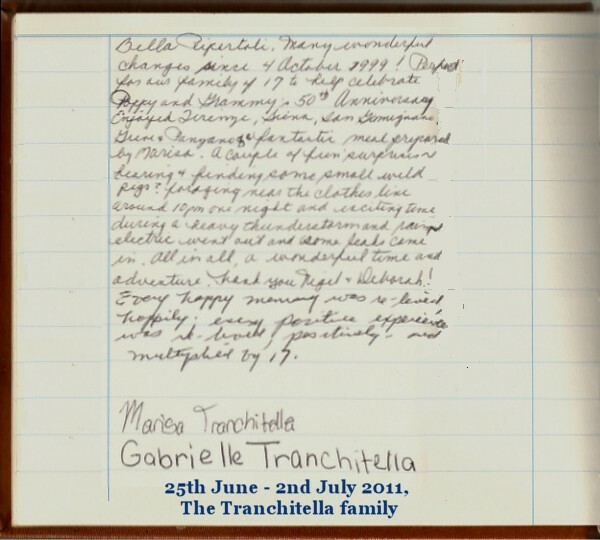 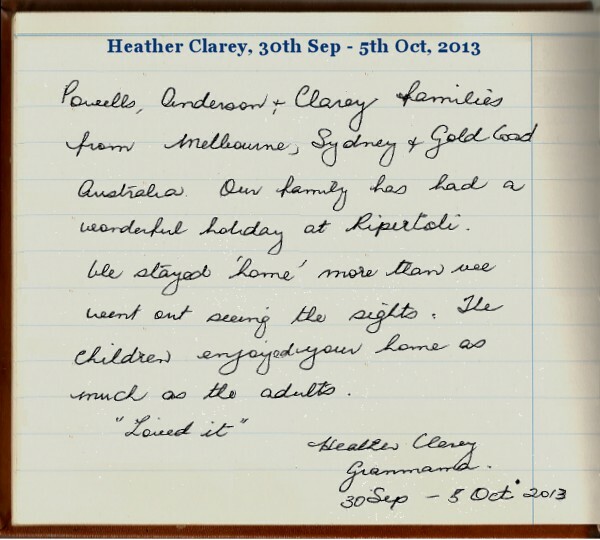 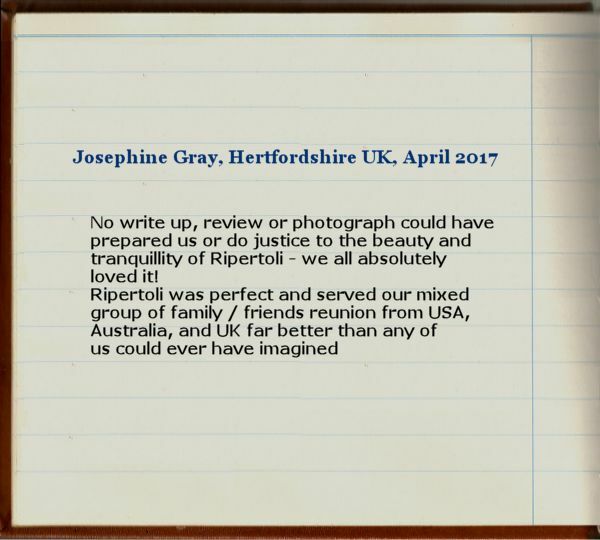 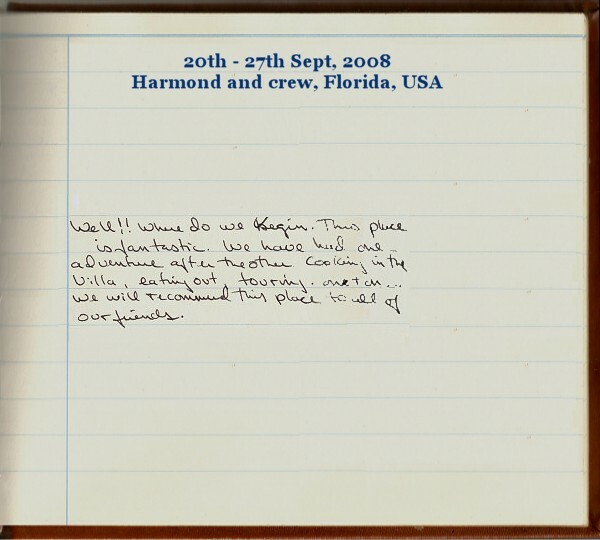 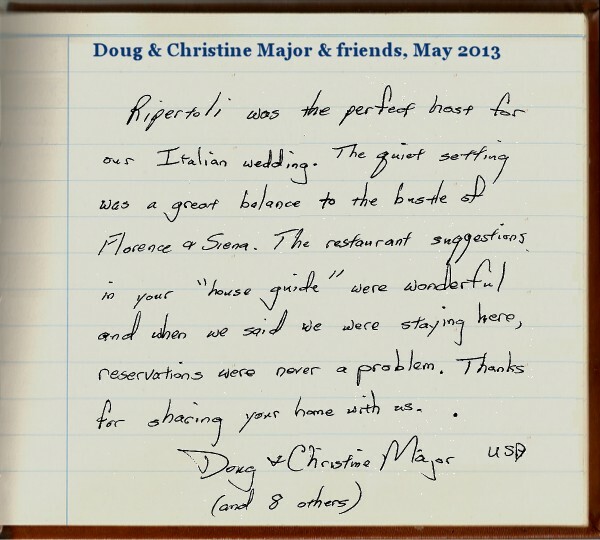 We also get online comments on Facebook, and reviews on Trip Advisor & HomeAway which are extremely helpful, but there is something special about a hand-written compliment which we really appreciate – in fact the first thing we do when we arrive at Ripertoli is open the guest book to see the latest comments. 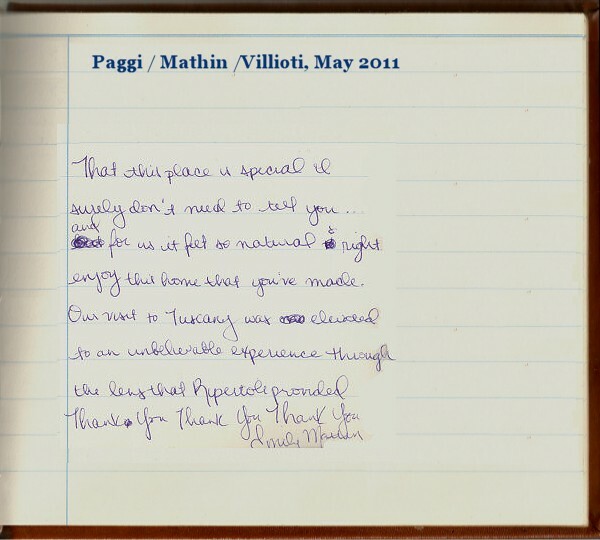 Here’s a selection of the comments left by our guests. 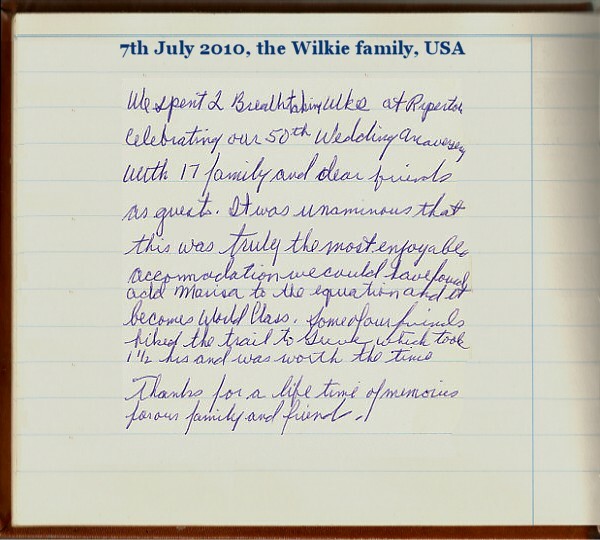 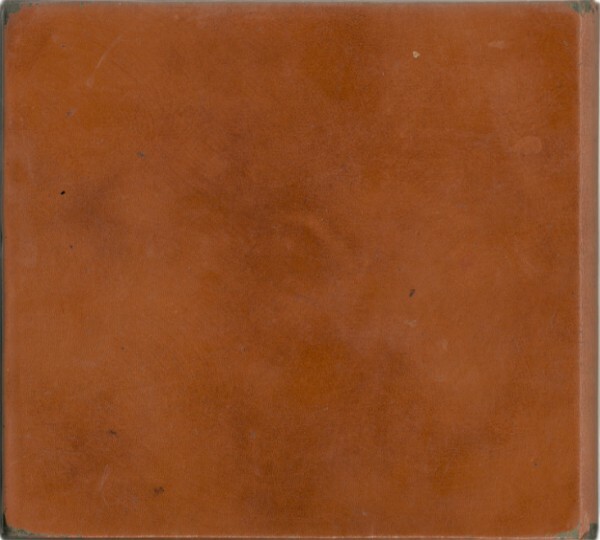 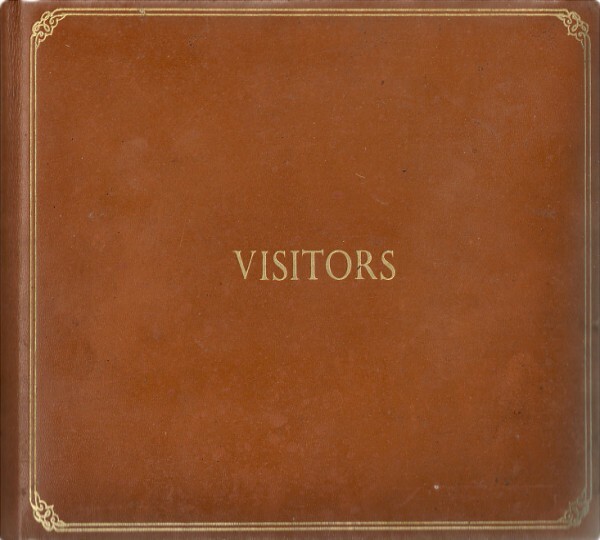 Click the large arrows or a page to turn the pages. 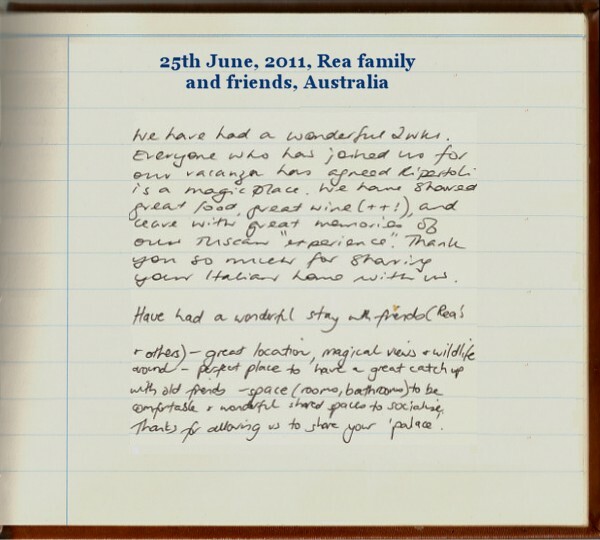 Mouse-over pages to enlarge text.